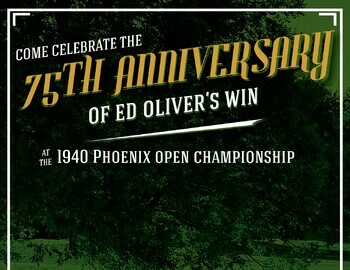 Come celebrate the 75th Anniversary of Ed Oliver's win at the 1940 Phoenix Open Championship! Golf any time today through Sunday for just $19.40! Just present this e-mail at the counter to save!